Marbles + RPG Brings A New Kind of Fun! Introducing “Pull DASH!”, a Puzzle Simulation RPG! | Aiming Inc.
Aiming Incorporated announces the Japanese version release of “Pull DASH!” today, February 22nd. 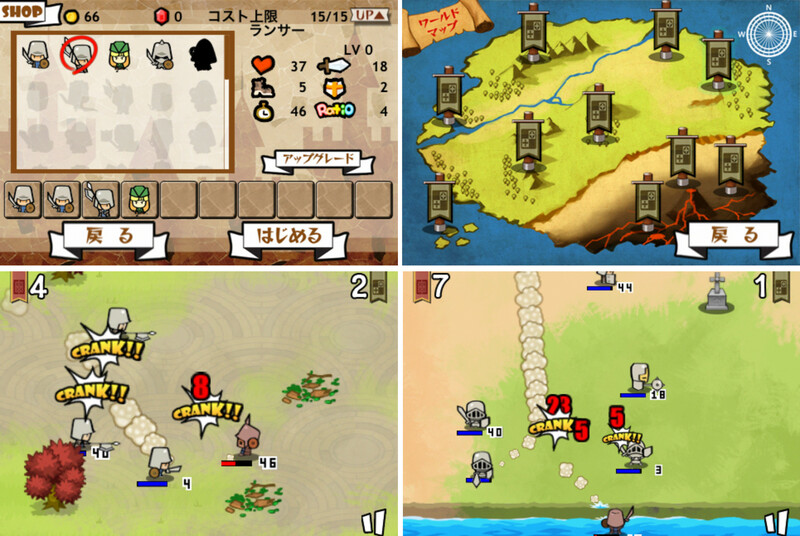 Known as Finger Shot RPG in English, an AppStore BEST of 2012 nominee for the New Ways to Play category. Pull tiny, cute characters and charge them towards the enemy! Pull DASH! is a puzzle simulation RPG, reminiscent of the all-time-favorite game, Marbles. By using simple controls, defeat your opponents by either bumping them out of the battlefield or dealing damage. Featuring various units such as “Magic Users that confuse enemies” and “Rangers that aim and target from afar”, these units need to be trained and nurtured to win battles in higher-level stages. Pull DASH also features 100 normal stages, survival stages under certain conditions, and other fun contents too, that you’ll never run out of things to do! Battle solo or with friends in offline mode. Or better yet, battle with players from around the world in online mode! Serious battles are guaranteed, whenever, wherever!